Looking for a wonderful dessert? If you want to please a special person on a special occasion, this is the right dessert to pick! This is a really easy recipe that would be good for cooking with kids too. 1. For the crust, combine the crushed grahams and sugar in a bowl and mix well. 2. Add in the melted butter and mix until everything is well incorporated. 3. Press the mixture evenly over a pan. 4. Let the crust sit in the chiller for around 15 minutes. 5. In a bowl, pour in the cream cheese, sugar, and vanilla extract and mix until well incorporated. 6. Fold in the cream, mix until smooth and add in the gelatin mixture. 7. The crust should be ready by now. Pour the mixture over the chilled crust and refrigerate until set. 8. 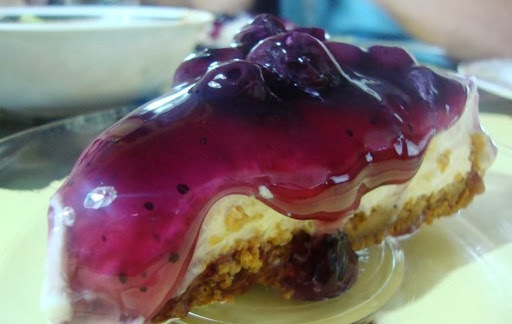 Top the cheesecake with preserved or fresh blueberries. Of course you may use any topping that you wish. Serve and enjoy!